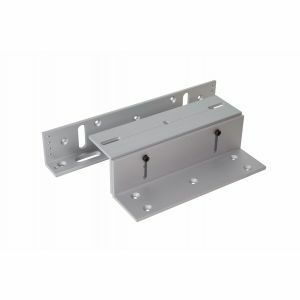 A magnetic lock or maglock, is a locking device that consists of an electromagnetic lock and an armature plate. 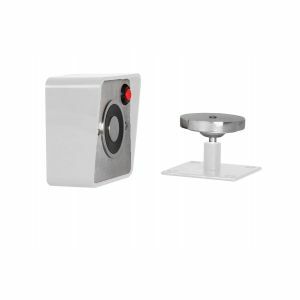 The main type of magnetic locks are "fail safe magnetic locks". 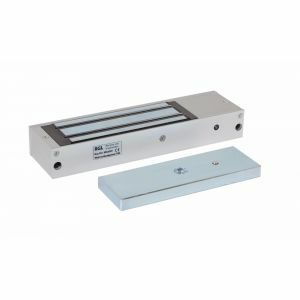 By attaching the electromagnetic lock to the door frame and the armature plate to the door, a current passing through the electromagnet attracts ("fail safe") the armature plate. 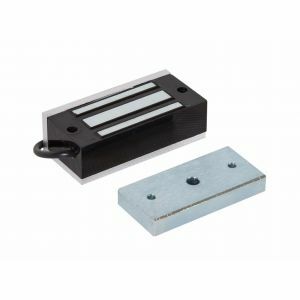 Our new range includes External Magnetic Locks or Gate Magnetic Locks, which provide a weatherproof option for using on gates and external doors. 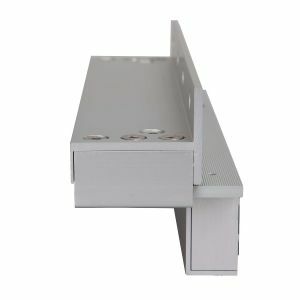 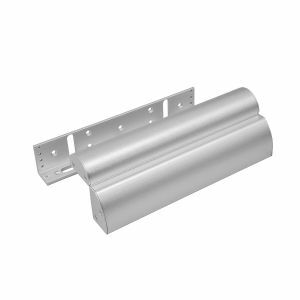 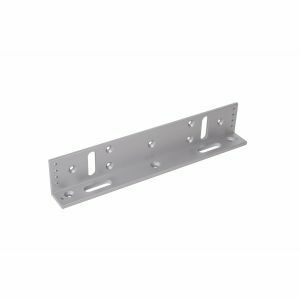 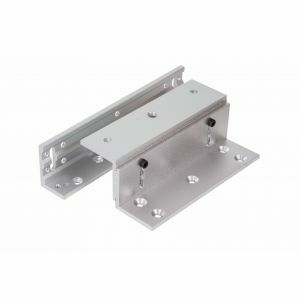 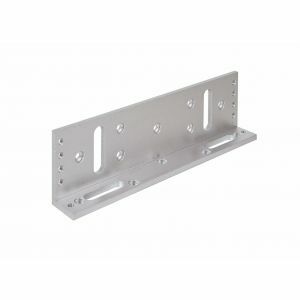 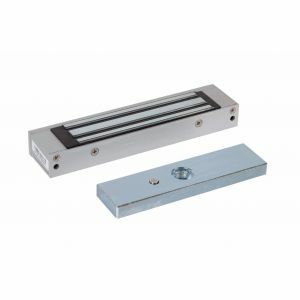 We have also introduced an Electromagnetic Door Holder which are used to hold fire doors open, and release upon the fire alarm being triggered. 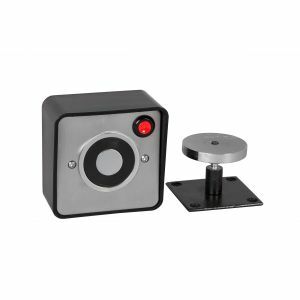 All the magnetic locks are suitable for use with any current system using a DC load that you would already have in place. 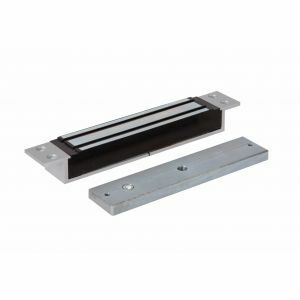 And are used in conjunction with Keypads, Proximity Readers and Exit Devices to enable the magnetic lock to be demagnetized and allow the door to open. 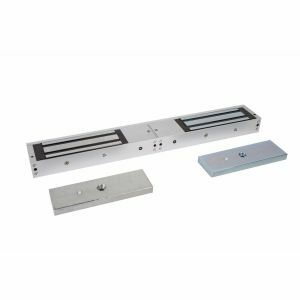 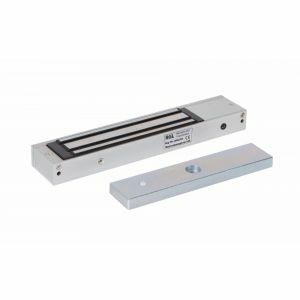 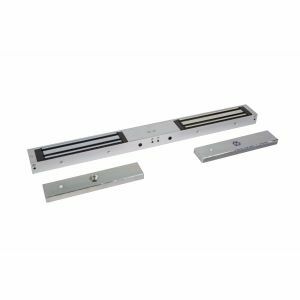 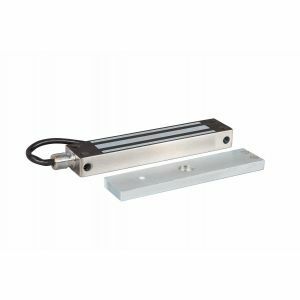 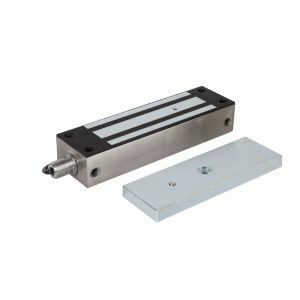 Normal magnetic locks need to meet on a face to face basis, where the entirety of the magnetic lock is covered by the armature plate - this is to ensure that the magnetic current is fully utilised, and the lock performs to its optimum level.